We are a community of believers striving to continue the traditional Christian worship started by the Apostles and their followers that has been continuously passed down to generations of Orthodox faithful. 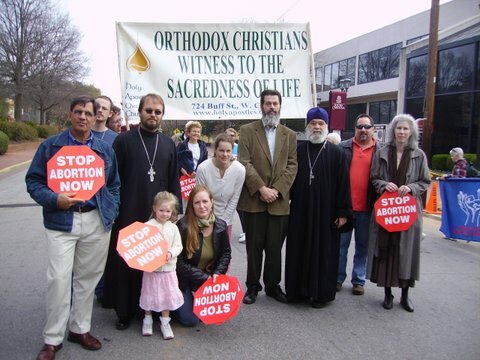 Holy Apostles Orthodox Church began as a mission parish of the Orthodox Church in America, Diocese of the South. Our mission began in 1982 with a small group of Orthodox believers gathering together for monthly services in Columbia. In 1987, Fr. Peter Smith became our first full-time priest when he moved his family to the area. Eventually the worshipping community grew to the point that a small warehouse could be bought and was converted to a church. In the late 1990's Archbishop Dmitri, of blessed memory, assigned Fr. Peter to a parish in Atlanta. He then assigned Fr. Thomas Moore and his family to Holy Apostles, a church where the priest had formerly served as a deacon. In 2003 we purchased our current building and after many years of love and labor it has been slowly transformed from an empty warehouse to a glowing “light upon the hill” overlooking the city of Columbia. Your first thought when you hear the words “Orthodox Church” may be of certain ethnic communities – such as the Russians or Greeks. In reality the Church comprises believers from communities all around the globe. 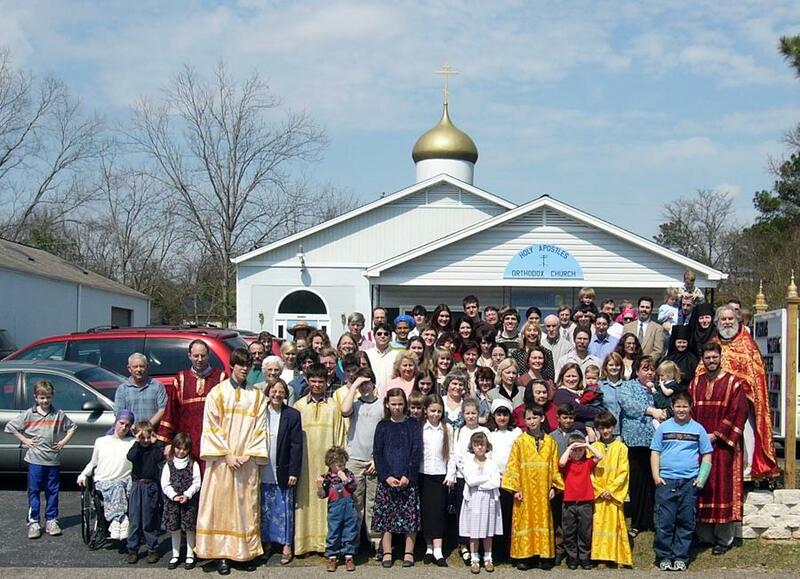 Our parish is composed of many “cradle” Orthodox from Eastern European nations, but an even larger portion of our worshippers are American converts. Our members come from every walk of life and whatever your situation may be, you are welcome to join us for any of our services.